In 2014 the Slovenian Beekeepers’ Association made a proposal to the United Nations for the establishment of World Bee Day, which was adopted unanimously. The 20th of May was chosen as a date because it is the birthday of Anton Jansa (1734-1773), one of the first teachers of modern beekeeping. 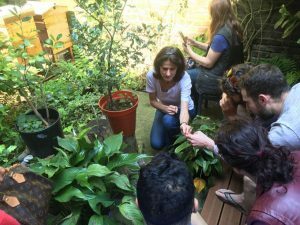 New Acropolis London celebrated this day with an event at its Melissa Garden Bee Sanctuary. 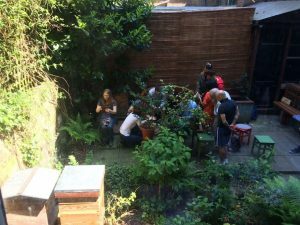 The event consisted of two parts: some informal talks in the garden, in front of the beehives, with a question and answer session about bees, their life cycle, organisation, tasks and other interesting facts. 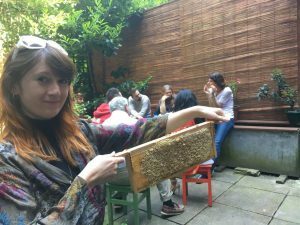 The second was the screening of a documentary film ´More than Honey´ directed by Markus Imhoof, a Swiss film director whose aim was not only to provide insights into the lives of bees, but also to highlight the negative impacts of industrial beekeeping. Many people of different ages attended the event and they were all very keen to learn more about these amazing insects and their important role in nature.